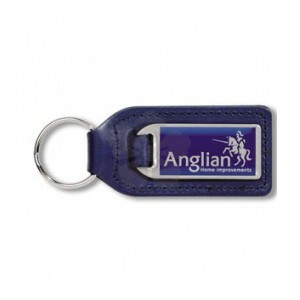 Large rectangular genuine leather keyfob with a brushed satin polished stainless steel medallion and a standard split ring fitting. Screen printed and epoxy domed. Note: Setup is charged at £30.00 per colour.